That’s what someone asked my (far-better-shooting) friend after a competition rifle stage. The Hiperfire trigger I let him borrow. Now, a trigger can’t make you seem like you’re shooting full-auto all on its own, but it’s the easiest upgrade to beef up your accuracy and trigger pull speed. It’s really amazing what a super-light trigger without creep can do! I’ve tried a bunch of triggers before and the Hiperfire is one of my favorites. The first thing you’ll probably notice is the extra set of springs at the top. It does something through engineering magic that gives you a lighter trigger pull and a heavier hammer stroke. Well, a light trigger pull makes it easier to minimize shot-altering movement. And a heavy hammer stroke increases firing reliability by making sure the hammer has enough oomph to ignite harder primers. 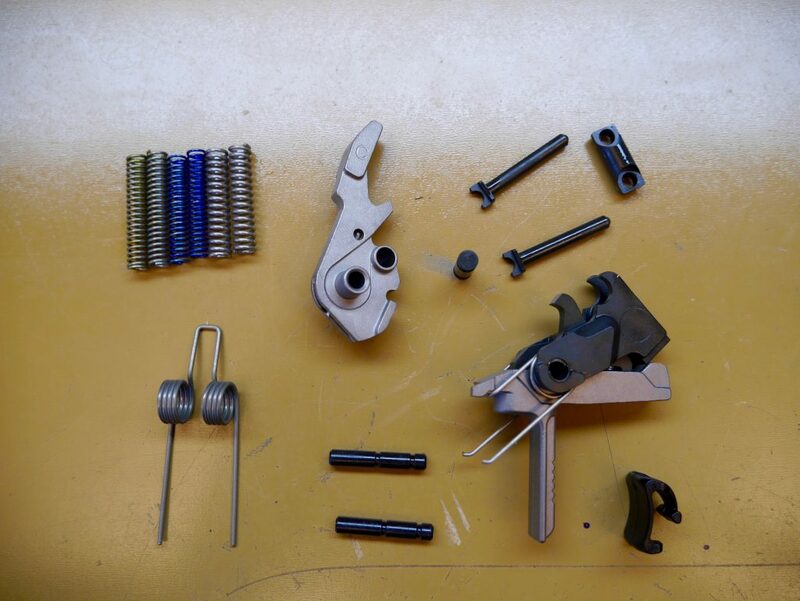 For all the other trigger upgrades (check them out in my AR-15 Upgrades article), there’s a trade-off between the two. To get a lighter trigger pull, you usually end up with a lighter hammer strike. Most of the time everything will function fine, but once in a while you might get the light primer strike *click* of sadness. 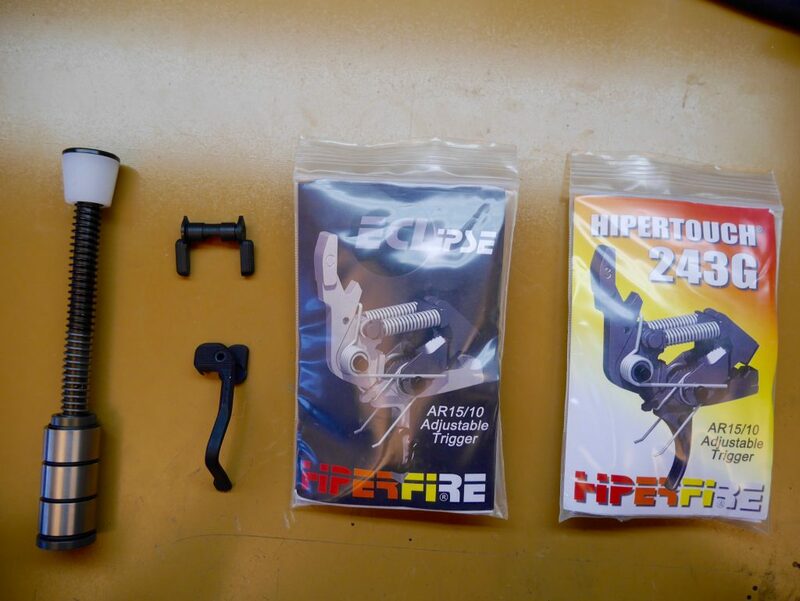 Here’s the parts for the highest end trigger…the Hiperfire Eclipse. The other triggers also have the three sets of springs you see at the top left. 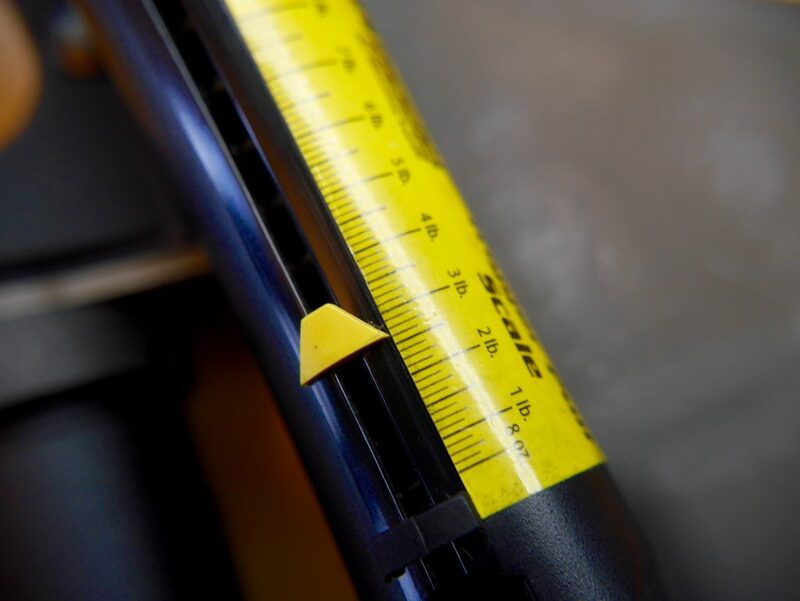 These allow you to adjust the trigger pull and hammer fall strength. Oddly…the lighter the trigger pull you choose, the harder the hammer will fall. I of course tried all three springs and found them to give me 2.5 lbs, 3.1 lbs, and 3.5 lbs. I stayed with the lightest 2.5lb trigger. It’s a happy/sad feeling that my custom 1911 no longer has the best trigger in my collection. After a couple rifle competitions I realized that I was wasting a lot of time trying to take up the slack of the first stage so I could utilize the second stage of the trigger. With a nice single stage trigger that has almost no perceptible creep (that gritty initial take-up), I can just focus on pulling the trigger once when the target is in my sights. Two primary negatives…install and price. I thought the install would be terrible because of all the parts that spilled out of the bag. But really, it wasn’t as bad as I thought it would be. Although still more annoying than a regular trigger or a drop-in. 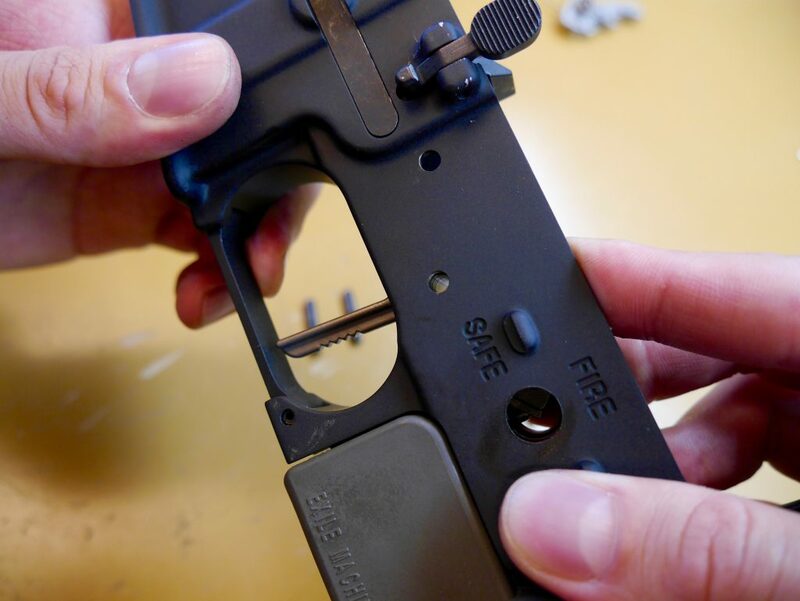 And, I cover how to do it step-by-step in my Hiperfire Install Guide. Ok, the price…it’s not cheap at $200 for the 3G (now Reflex) and $250 for the Eclipse models. But entirely within the range of big boys (Geissele & Timney) especially when you take into account the reliability factor of a heavier dropping hammer. There’s a couple of models at Hiperfire. They have some more basic ones that look like normal triggers without the extra springs. I haven’t tried those out yet. And they keep changing up the names…I can’t keep up! The more “basic” is the Genesis which has some creep in the initial pull and hammer reset. As you go up in price you see the creep lowers. I’ll be honest, I thought the Hipershoe was some dumb piece of plastic until I tried it. I installed it by taking off my trigger guard, but for those who have an integral one…you’re going to have to take out the whole trigger. Once you have it adjusted to have a good placement of your trigger finger, it seems to draw it in for consistent placement every time. So if you’re deciding between the models…get the one with the Hipershoe such as the 24C ($235) or the Eclipse ($275). The 3G (now Reflex) model seems to be the curved trigger version of the Competition and the Eclipse is coated with nickel alloy that should give it some smoother features. I only found it ever so slightly smoother…so I’m not sure that it’s worth that extra $40. So what do I think after about 8 competitions with the Reflex and Eclipse models? I love them and will continue to use them. They’ll shoot as fast as I can pull the trigger. The imperceptible creep, light trigger pull, and great reset also make shooting the farther distances a breeze. The heavier falling hammer also took care of my hard Tula primer reloads. Tons of people have come up asking to dry-fire that cool looking trigger. One thing in common with their reactions? They all began with some four letter words I can’t print here. 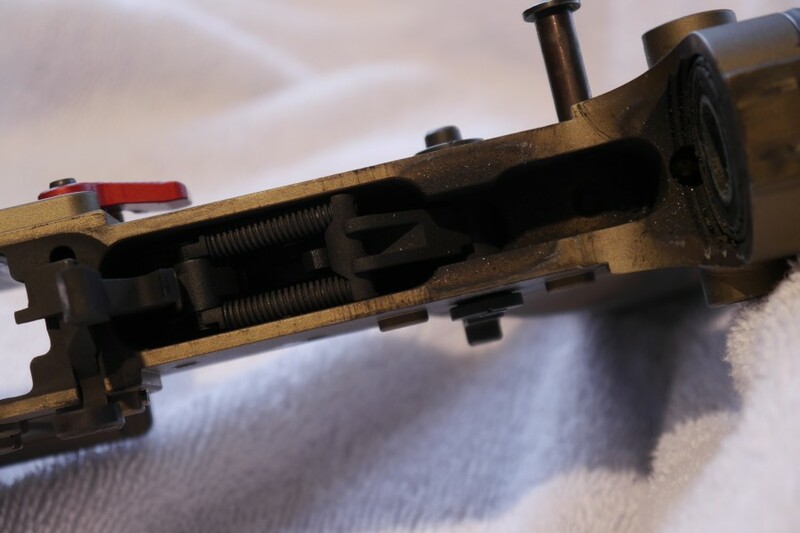 TTAG also loves their Hiperfire trigger and one thing they can add to the review is that even with the tons of carbon that builds up with a short barrel…the Hiperfire worked fine while the Geissele failed. Below is at 500 rounds with the Hiperfire while the Geissele failed at 100 rounds. Or find someone who has one already just so you can experience it and then immediately order online. 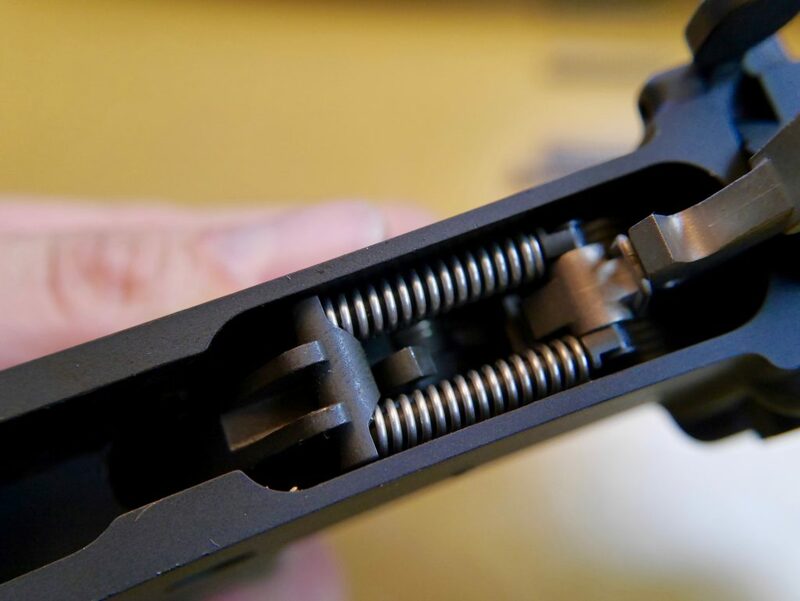 Want to see our full-blown AR-15 trigger round-up? 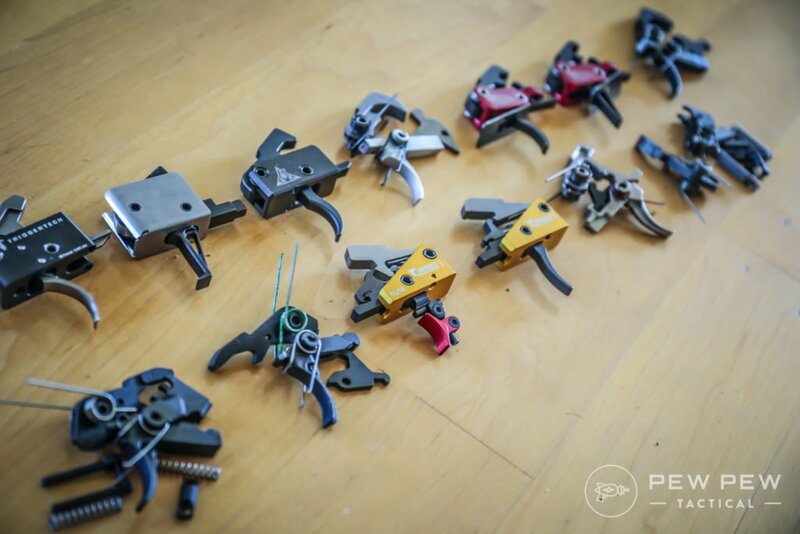 Check out Best AR-15 Triggers where I show you how each one breaks…plus split times! I just purchased a Hiperfire/Hipertouch LPK and it was a real mess. Hard to install…! Plus, it would not even function properly after completed install..! The two TOGGLE SPRING & PIVOT are HELL too install…! Had parts flying left and right…! I called their customer service department and explained my issues…! I was told, that I was the PROBLEM and not their product? Even took it too a local gunsmith and he could NOT make it function correctly..! For $200.00 it should be a DREAM come TRUE and not a NIGHTMARE….! looking at the chart of triggers and pull weights… what makes the ones with the varied pull weights vary? i understand the swapping springs… but what is giving them a different range per spring? 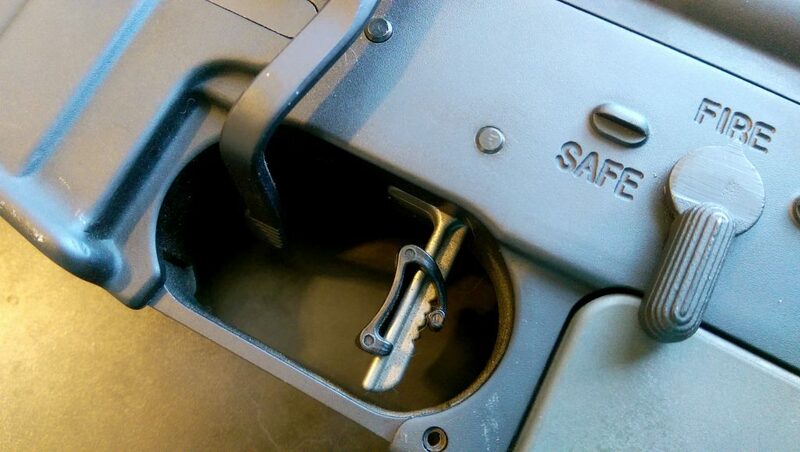 or is the manufacturer just saying the pull will vary per gun? The varied pull weights are because those triggers are flat. The lower on the trigger you pull, the less force needed for the hammer to fall. The closer to the top, the more pressure needed. 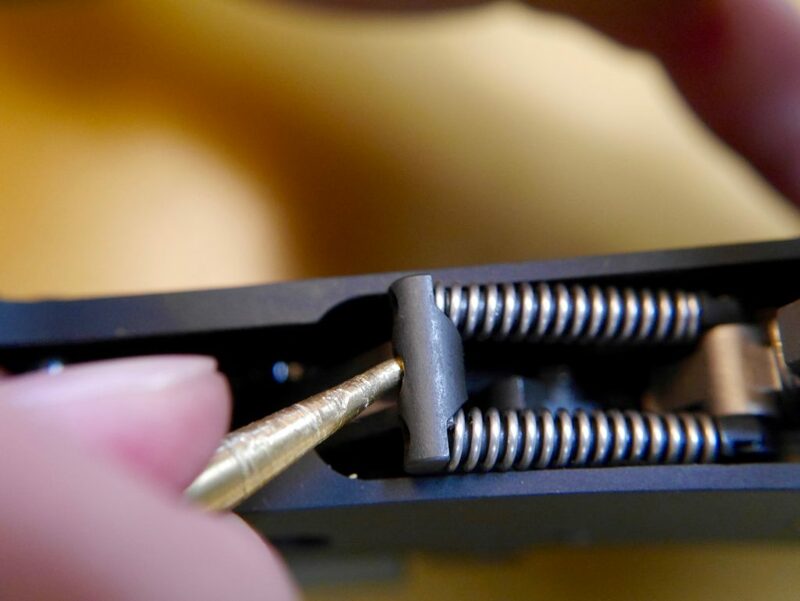 The trigger shoe can be placed at various points on the trigger shoe, thus changing the pull weight. I hope this helps. I just purchased the Hiperfire 24 3 Gun from Brownells for $149, and I like it a lot. Several online dealers have that and other Hiperure triggers on sale. Thanks! Definitely going with Hiperfire for my first AR build. I’m unsure whether or not to get the Eclipse over the 24C as you mentioned, but I’ll see what the sales are like in a few months! Good plan Andrew, let me know how you like it! Hi Joe, you’re so welcome and glad our review of the Hiperfire helped you out!